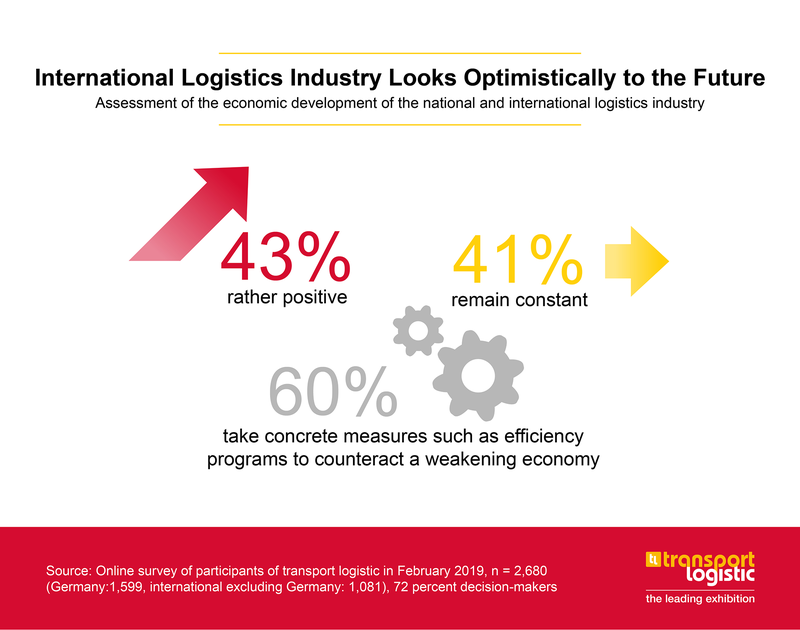 One of the biggest challenges facing the logistics industry is the lack of good staff. Forty-five percent complain about the lack of skilled workers, and 33% about the lack of drivers. 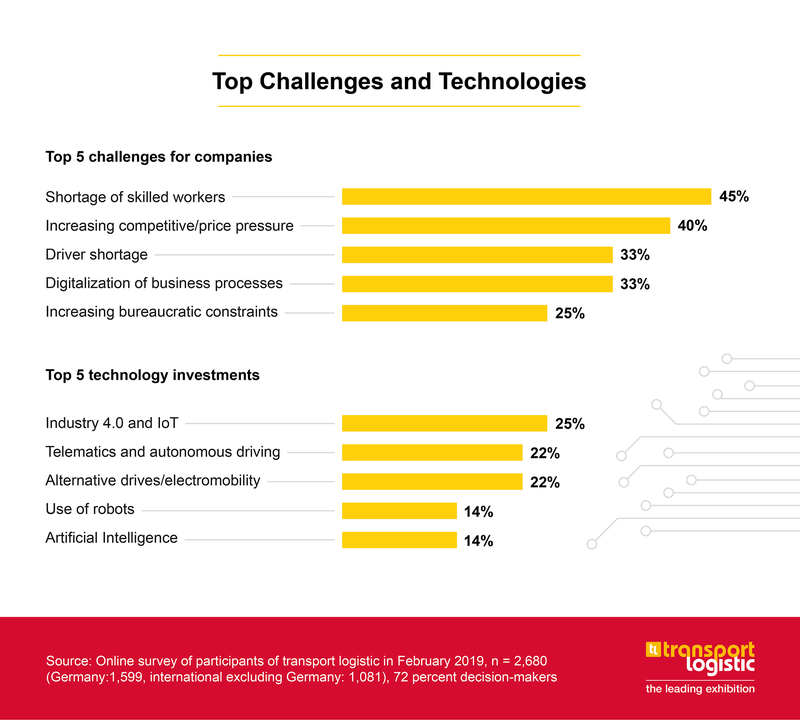 Increasing price and competitive pressure is also at the top of the list at 40%, 33% also regard digitalization of business processes as particularly challenging, and 25% cite increasing bureaucratic constraints. Respondents also had the opportunity to specify their own topics. The quality of infrastructure was particularly criticized. However, companies not only see challenges; 60% of respondents say that their company is investing in innovative technologies. Top 5 technologies: “Industry 4.0 and IoT” (25%), “Telematics and Autonomous Driving” in the same measure as “Alternative Drives /Electric Mobility” (22% each) as well as “Robot Use” and “Artificial Intelligence” at 14% each. 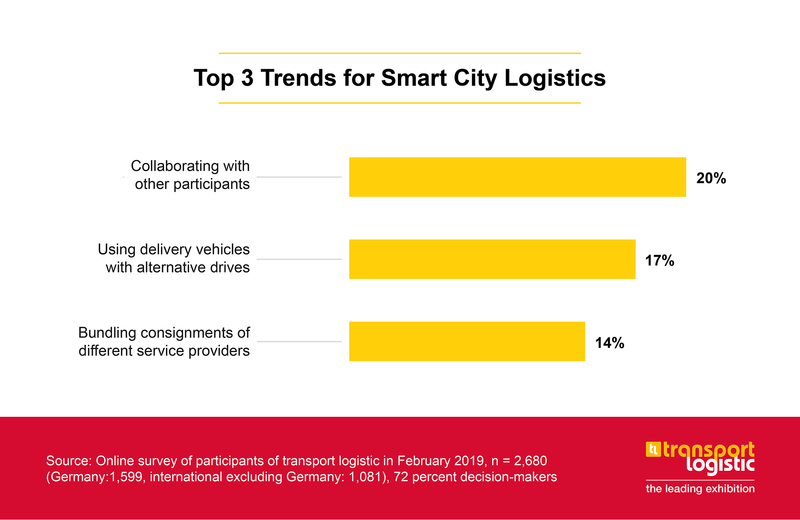 Clogged inner cities, area competition, challenge of the last mile—to make city logistics smart, fast and clean, the three most important measures are: cooperation with other participants (20%), alternatively powered delivery vehicles (17%) and the bundling of shipments from different service providers (14%). The diesel engine is under pressure, and consequently many companies are too. 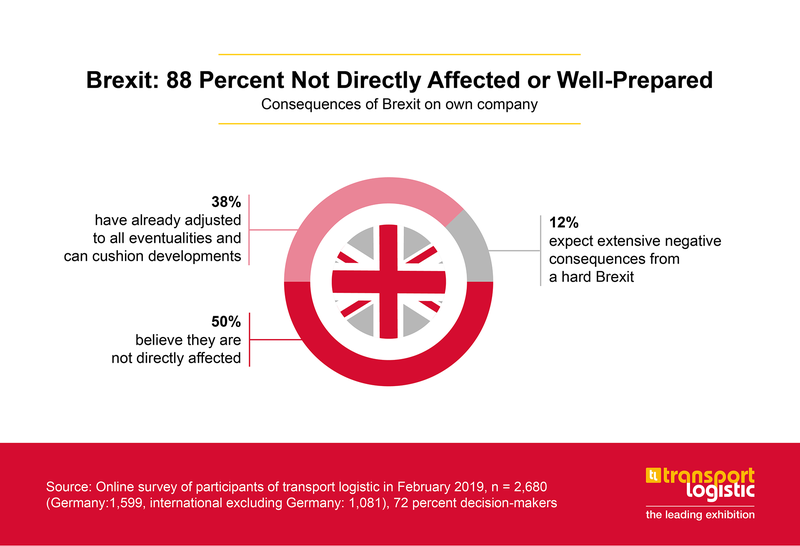 Twenty-eight percent of respondents say that (diesel) driving bans jeopardize the profitability of their company. Thirty-three percent already have alternative drives in use in their company, and 41% want to integrate alternative drives into their fleet in the near future. Only 11% want to retrofit existing vehicles. Overall, 54% of respondents say their company will invest in new vehicles. 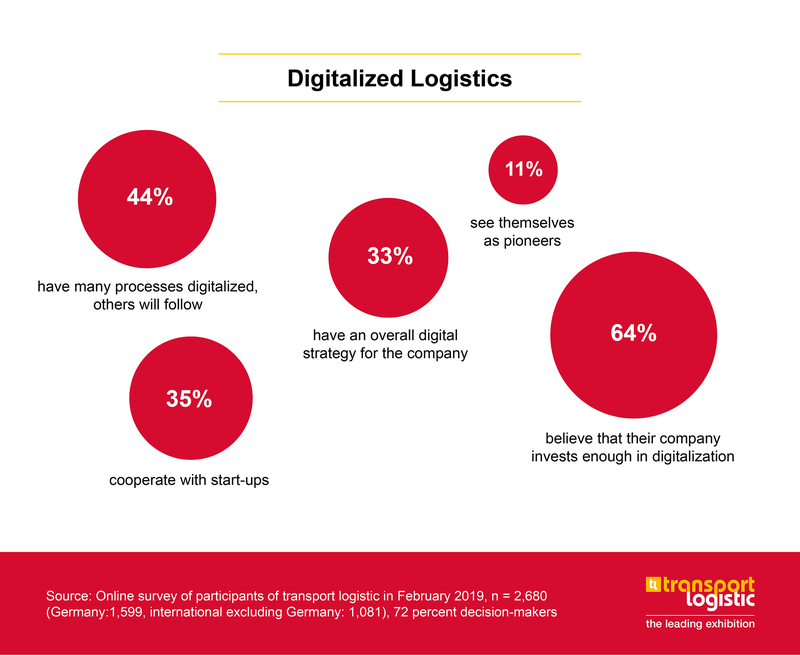 The logistics industry is in the midst of the digital transformation. Eleven percent see themselves as pioneers in this field, 33% already have a digital overall strategy in the company, and 44% have already digitalized many processes and will do this with other ones. Sixty-four percent say their company invests sufficiently in digitalization. Thirty-five percent of respondents reported their company works with start-ups to drive innovation.